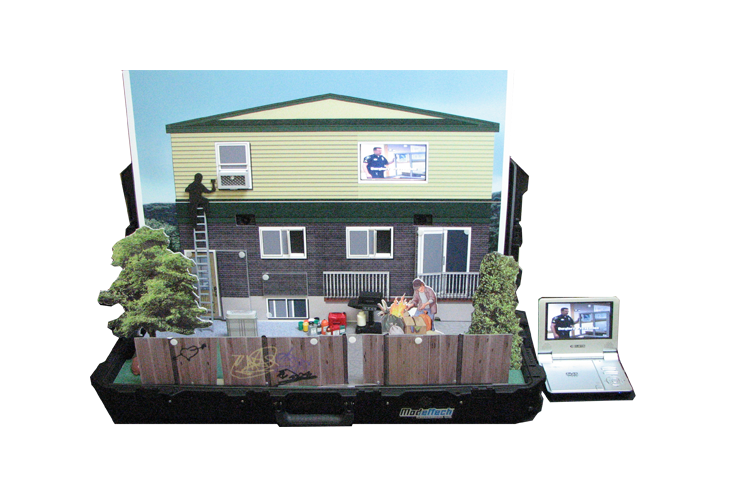 Designed to teach classrooms and homeowners alike how to help prevent burglary, vandalism, arson and other crimes in our neighborhoods, the Crime Prevention simulator features multiple interactive scenes to help better understand and retain the information. 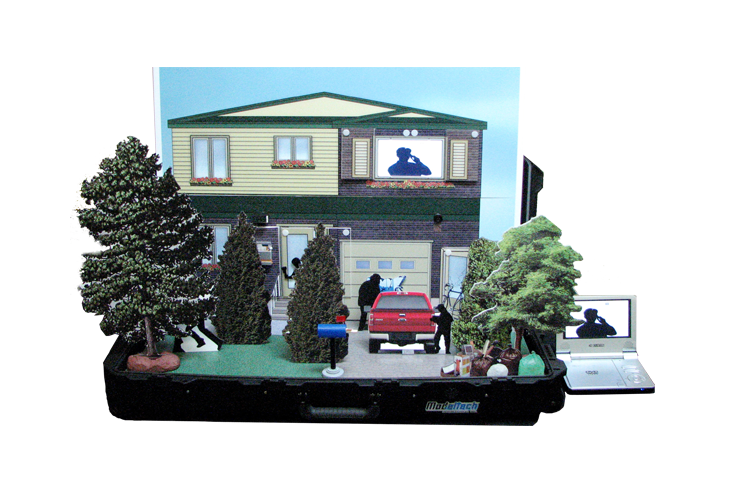 Using cutouts, flip illustration, 3D parts, lighting and sounds, help turn a poorly-maintained house (with mail piling up, overgrown bushes and trees that make it harder to spot burglars, etc.) into a safer, less tempting target for criminals. 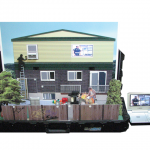 Finally, an optional 19” LCD DVD player allows you to present videos, web content and PSA on home safety. Once your presentation is complete, the backdrop and all individual components can be neatly packed into a portable and compact carrying case, perfect for transport to your next destination.